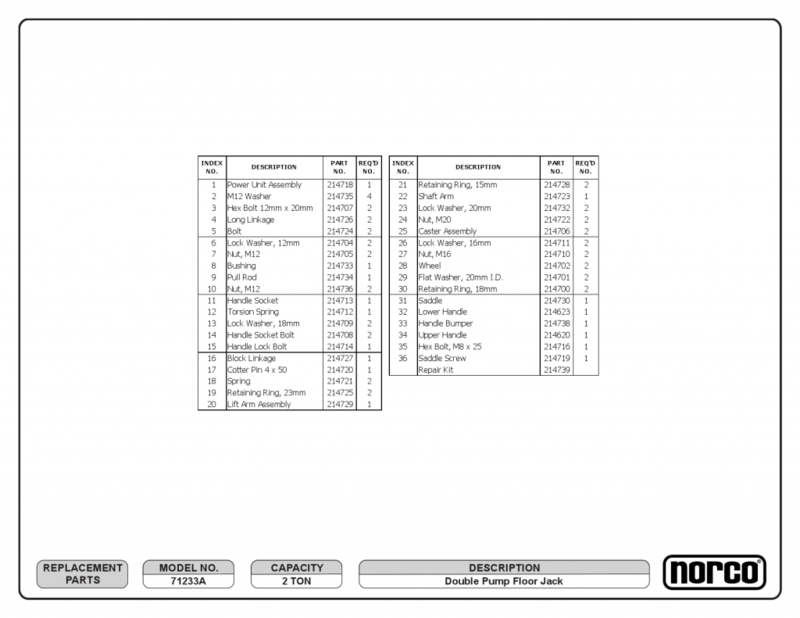 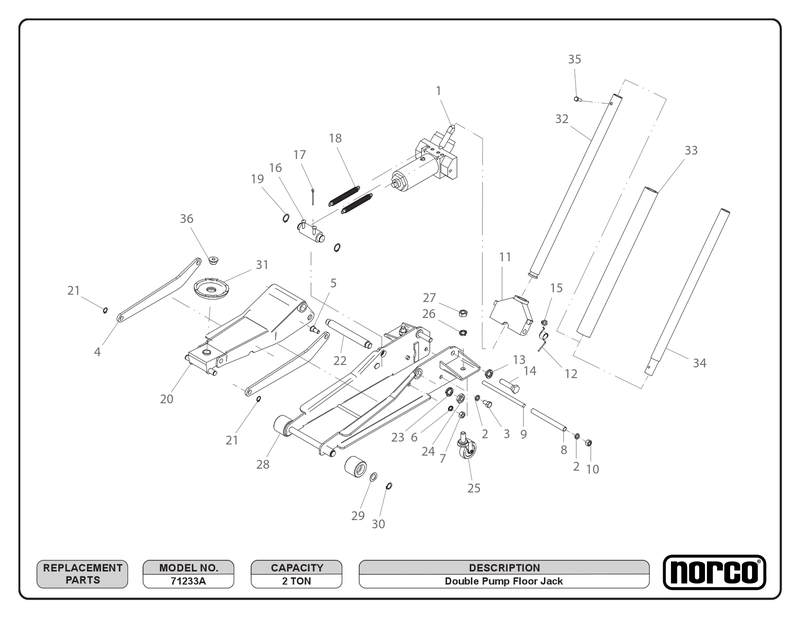 Parts for this Norco product 71233A can be located using the images below and purchased by searching by part number on our site. Once added to the cart you may proceed to checkout. If you have any problems regarding parts or checkout feel free to contact us using the information found in the contact link at the bottom of every page.